How are cable systems and heating mats different? 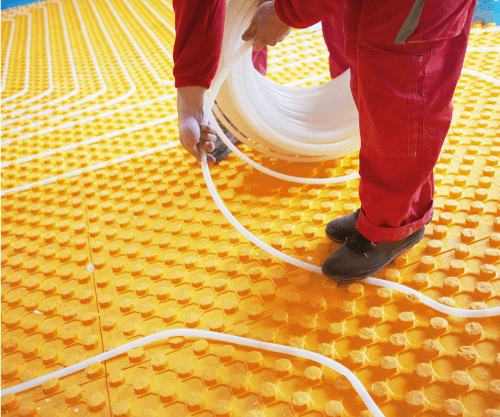 These two types of underfloor heating differ in a number of ways, each providing their own benefits. The cable used for heating mats is the same as that provided in the loose kits, with the rating of 3mm loose heating cabling being 10w/m2. The cable is already spaced and attached to the adhesive mesh backing for you, and is available in three wattages. The most powerful heating mat is the 200w/m2, suitable for use beneath stone or tiled floors. Areas that experience a high heat loss, like a conservatory, will benefit from this type of heating mat. If you aren't using insulation boards and laying the heating mats onto concrete, this variant should be used. A mat measuring 18m2 is the maximum that can be used with one thermostat. A mid-range powered heating mat is the 150w/m2. Suitable for most applications, this type of solution can be used as the main heating source beneath most types of surfaces. If you are using flooring that has a finish, like Amtico or Kardean, the maximum output is 150w/m2. The largest mat size to be used with one thermostat is 24m2. The lowest powered mat is the 100w/m2, which is suitable as a secondary heat source to take the chill off a cold floor. The largest mat size that can be used with one thermostat is 30m2. To use with a finished subfloor like plywood or a concrete screed, we recommend that heating mats are covered in an adaptable levelling compound or a flexible tile adhesive, if you are laying tiles. Heating cable is supplied loose on a drum, so that you can manually measure and space it. The kit has full instructions for this. The cable is the same as that used in heating mats, and has a rating of 10w per linear metre. What is the width of the mats? The mats have a width of 500mm and are supplied in various lengths. To cover a room that is 4m2, you would use a roll of 8m in length and 500mm width. First, roll the mat out and cut at the end of the room. Then, flip the roll over and come back the other way. How high will my floor be raised? The heating cables have a thickness of 2mm and the tile adhesive will be 5mm. You should also allow for the insulation board and tile, if used. To heat a well-insulated, standard size room, you need a minimum of 150 watts. However, for a room that has a high level of heat loss or a lot of fixed furniture, like the kitchen, a minimum of 200 watts is recommended. If your electrical supply permits, it is recommended that you use the 200w, as this solution heats up much faster than the 150w. However, the lower power unit is the maximum wattage for use with a vinyl floor. Will the room be sufficiently warmed by the heating system? There are a number of factors that could affect the heat levels in a space, like insulation and the room height. However, if you insulate a space to the current regulations and use ProWarm™ tile backer boards, the system will heat the room sufficiently. Using underfloor solutions with insulation boards will always improve efficiency, as minimal heat will be lost downwards. If you don't have sufficient floor height to install backer boards, use thermal paint by ProWarm™ instead. Can more than one mat or cable be connected to a thermostat? Up to 3,600w can be switched by our range of thermostats. As long as the total load doesn't exceed this, any combination of cables or mats can be used. If a larger area is to be switched with one thermostat, use a contactor to control the load. Contact us for more details about this. If you are connecting more than two cables or heating mats into a thermostat, you may find it difficult to get all of the fixtures into the terminals of the unit. If this is the case, use a junction box that has been positioned behind a blanking plate on the wall to connect them. How hot will the surface feel? As long as the floor sensor and thermostat have been correctly installed, a temperature of around 28°C will be reached, which is not too hot to touch. Which heating kit do I need? To avoid cold spots in the room, aim to cover between 80% and 95% of the free floor space. Measure the area that you intend to heat and subtract 10%, so that you don't order too much. ProWarm™ underwood flooring heating mats are suitable for use with engineered and laminated surfaces, as well as some types of floated solid wood floors, although you should always check with the flooring manufacturer first. Can you use any type of laminate or wood flooring with underwood heating systems? You should check with the supplier, although most manufacturers have approved their flooring products for use with underfloor heating. 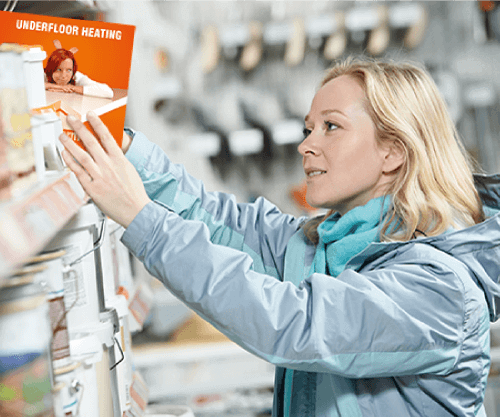 Which insulation boards are suitable for use with underwood heating? If the underwood system produced by ProWarm™ is to be the main source of heating, we recommend our 10mm XPS premium insulation boards. However, if the solution is to be a secondary heating source, you will be able to fit our XPS standard insulation boards. Can underwood heating be used in bathrooms? 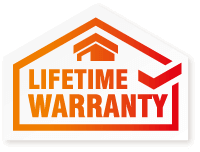 As long as you follow the installation guide that is provided with items, the underwood heating systems produced by ProWarm™ are suitable for areas that are likely to be wet, and fully compliant with 17th edition standards. What is the power rating of the underwood heating system? The heating mats for use with underwood are rated as 140w for every square metre. What is the size of the heating mats? All of the mats have a width of 500mm and are available in pre-set lengths between 1m2 and 12m2. 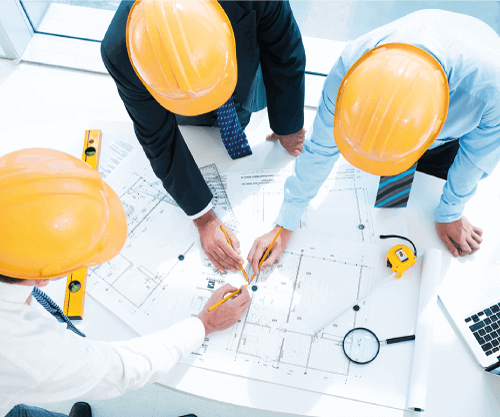 For instance, an area of 10m2 would require a mat measuring 20m in length with a 0.5m width. It is possible to turn the mats to cover most floor areas, although please avoid cutting the cables. Can furniture be placed on top of the heating mats? Most free standing furniture is fine to use with heating mats, although its use under fixed items, like fitted wardrobes or units, is not recommended. To avoid any localised hot spots, we do not recommend use beneath thick rugs, insulated dog beds or bean bags. Can more than one mat be connected directly to the thermostat? Two mats may be connected to any ProWarm™ thermostats. Any more than this will require a junction box. How can earth continuity be maintained? Use the aluminium foil tape supplied with the mats to join any that have been cut. This will guarantee earth continuity. What is the thickest wood floor I can use with the system? A maximum thickness of 18mm is recommended to maximise the benefits from the heating solution. How much will my floor be raised by? The maximum increase in floor height will be 8mm, if using XPS insulation boards by ProWarm™. Can you cut under wood heating mats? The mats may be trimmed when fitting, although the cables should never be severed.